Product prices and availability are accurate as of 2019-04-19 00:31:00 EDT and are subject to change. Any price and availability information displayed on http://www.amazon.com/ at the time of purchase will apply to the purchase of this product. The B-17 saw combat in the Pacific from the moment a formation of these bombers arrived at Pearl Harbor during the midst of the 7 December 1941 Japanese attack. By the end of World War II (1939-1945), SB-17 rescue craft were saving combat crews in the waters off Japan. 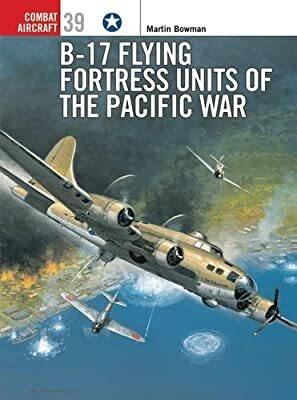 This book reveals why, to the public, the Flying Fortress was better known than the Spitfire, the Boeing 747, or Lindbergh's Spirit of St Louis. The name recognition enjoyed by the B-17 was that company's reason for creating B-17 Steak Sauce and Osprey's reason to round out the saga of this great wartime aircraft.